Suicide is the only sane thing the young or old ever do in this life. Unfortunately none of us can see far ahead; prophecy is not for us. Hence the paucity of suicides. - "Which Was the Dream?" But we are all insane, anyway...The suicides seem to be the only sane people. I do see that there is an argument against suicide: the grief of the worshipers left behind, the awful famine in their hearts, these are too costly terms for the release. I would not be a party to that last and meanest unkindness, treachery to a would-be suicide. My sympathies have been with the suicides for many, many years. I am always glad when the suicide succeeds in his undertaking. I always feel a genuine pain in my heart, a genuine grief, a genuine pity, when some scoundrel stays the suicide's hand and compels him to continue his life. 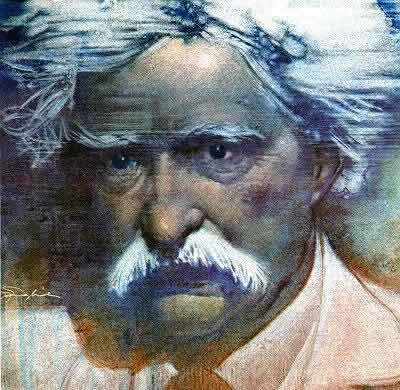 - Autobiography of Mark Twain, Vol. 2 (2013), p. 45-46. Dictated 11 April 1906.